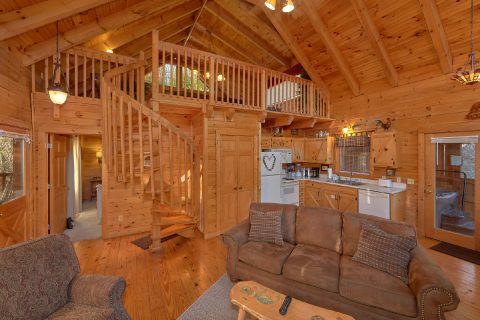 Escape to "Bear Hugs II", a cozy cabin charmer that offers vacationers a rustic cabin with a wooded view and fireplace for relaxing retreat in the Smoky Mountains! 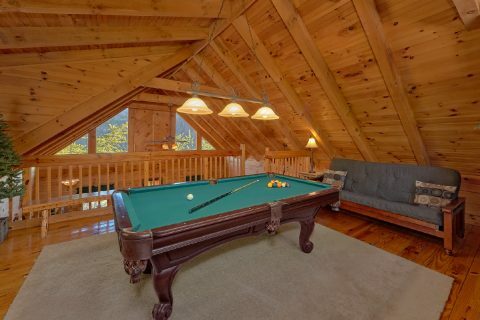 With a spectacular mountain setting and a convenient location near the fun and excitement of Pigeon Forge, Gatlinburg, and the Great Smoky Mountain National Park, there's plenty to love about this quaint one-bedroom. 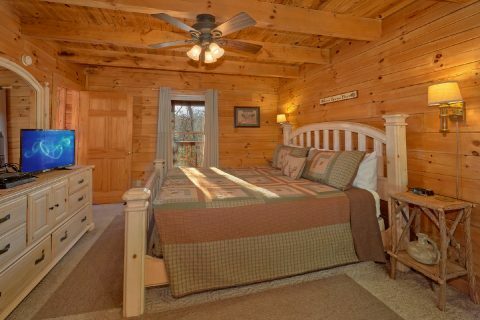 Whether you want to enjoy scenic hikes in the national park, roller coasters at Dollywood, shopping at The Island, or a dinner in Gatlinburg, your cabin in the Smokies provides the perfect home base for a memorable mountain getaway. 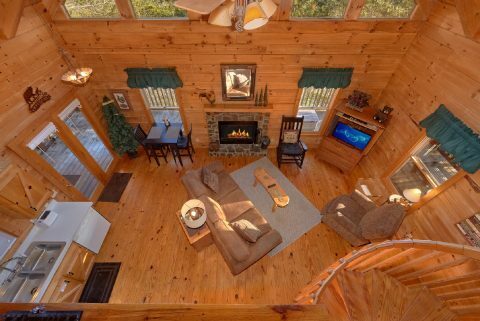 Your one-level cabin features a cozy living room with a rustic wood-burning fireplace for cuddling close to the one you love on cool mountain nights. 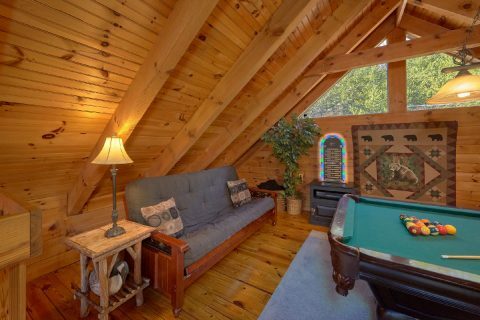 With features such as WiFi, cable, a DVD and VCR player, jukebox, and a pool table, you're sure to have a fun time in your mountain escape. 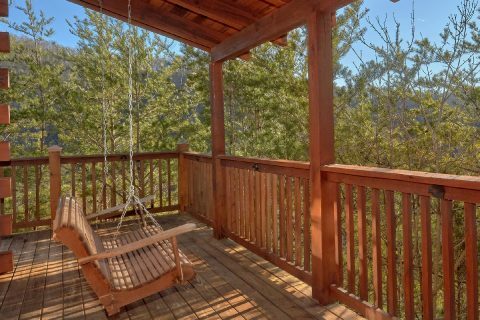 Outside, you can enjoy wooded views at your own private mountain getaway on your wrap-around deck. 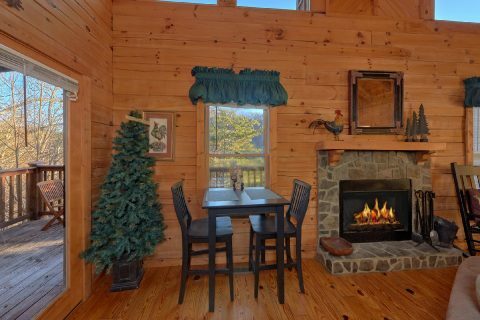 Whip up some burgers on charcoal grill for an unforgettable lunch in the mountains. Feel the cool mountain breeze as you watch sunsets from your porch swing. 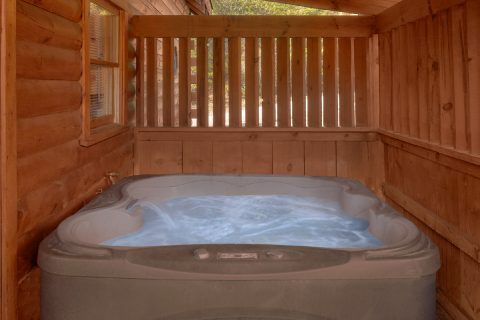 Take a dip in your cabin's hot tub, and let your cares melt away. 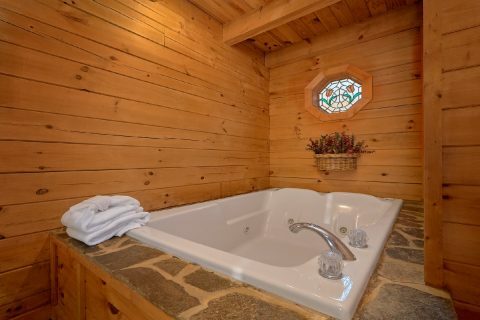 When you need to rest up for another day of adventure in the Smokies, your cabin's king bedroom offers a cozy bed and a romantic jacuzzi tub for a relaxing mountain oasis. A futon in the living room offers additional sleeping space if needed. 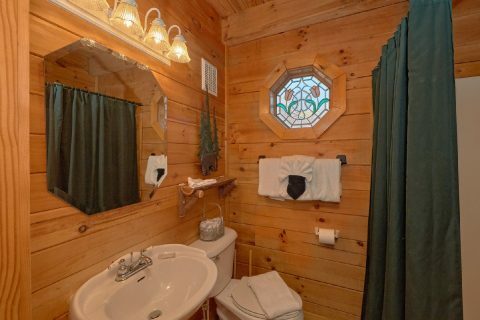 This non-smoking cabin also comes with practical amenities, such as a washer and dryer, to ensure you stay is comfortable. Worried about what man's best friend is going to do while you're away? 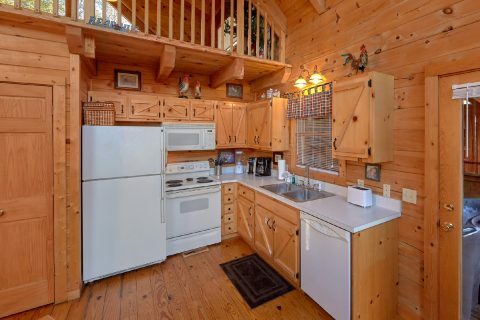 At this cabin, there's no need since you can bring your pets along to enjoy the mountains as well. 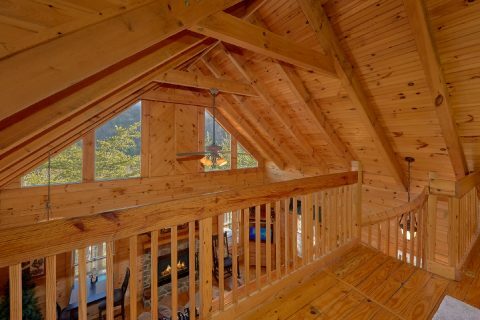 Book this cozy cabin with wooded views and fireplace today, and you'll receive a 15% online booking discount on your nightly rate at "Bear Hugs II"!